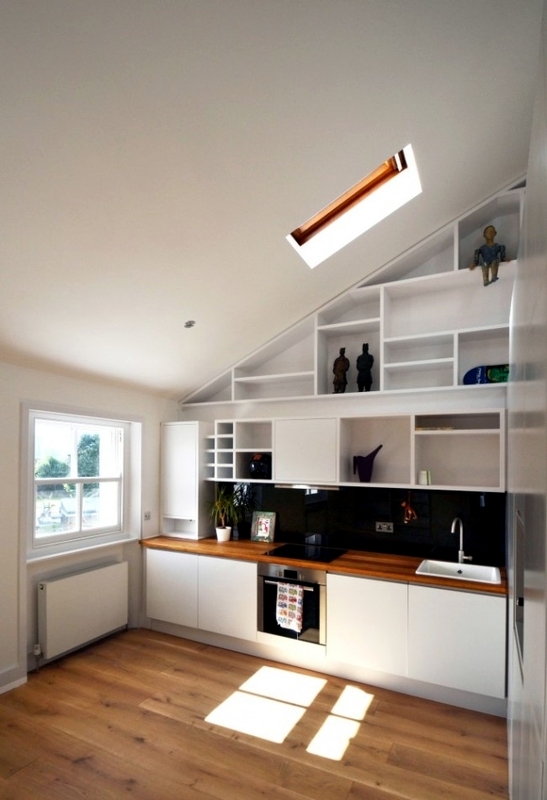 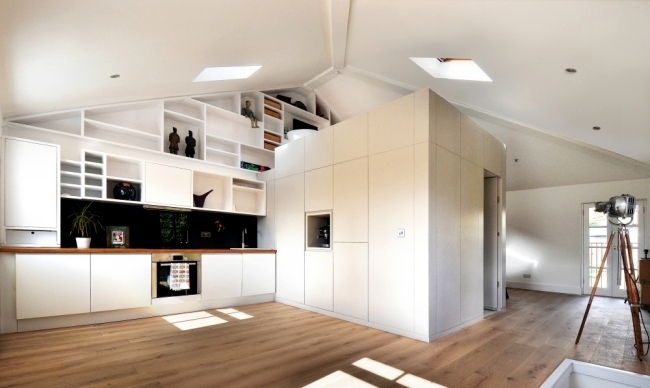 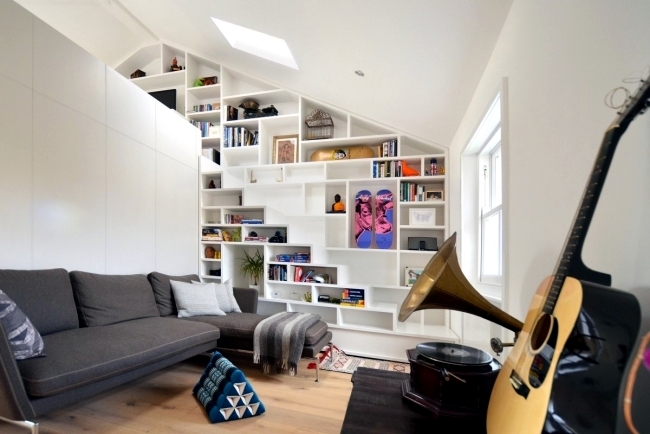 This small but cozy loft is located in Camden, London, and was designed by British designer Crafts Design Studio. 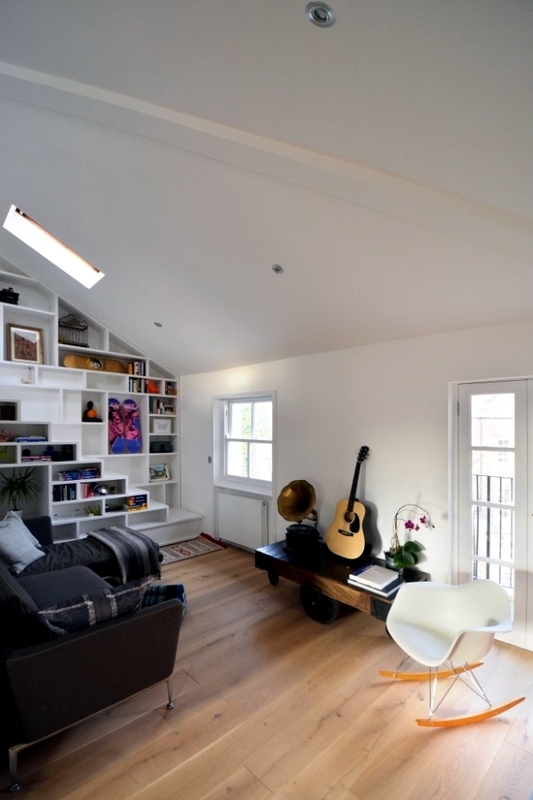 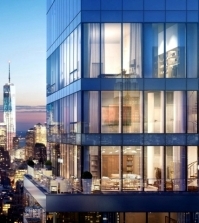 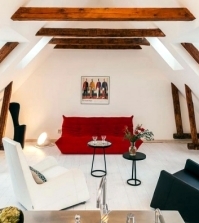 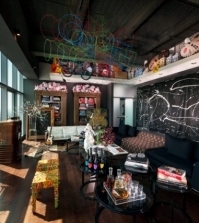 The modern loft was very simply furnished in a minimalist style and perfect living space for one person. 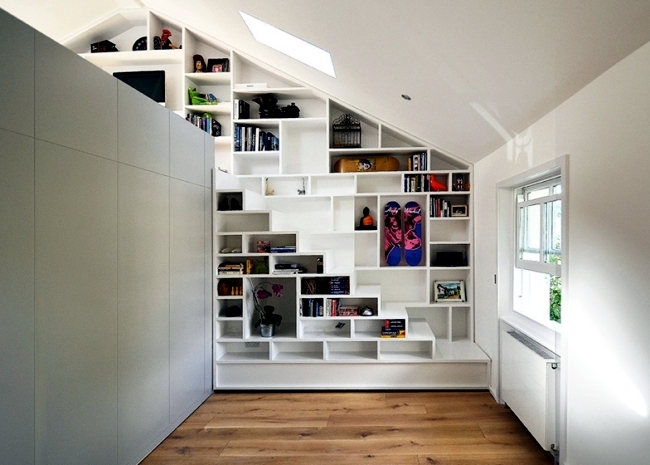 Particularly impressive and interesting is the wall with shelves and built stairs to the second floor. 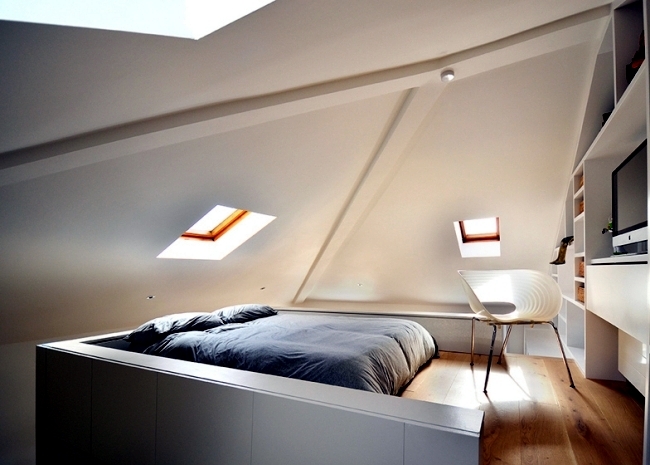 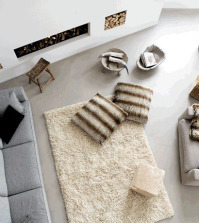 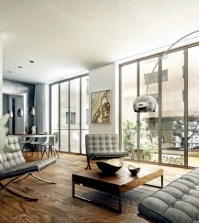 The loft Craft modern design impressed with a convenient and comfortable interior design. 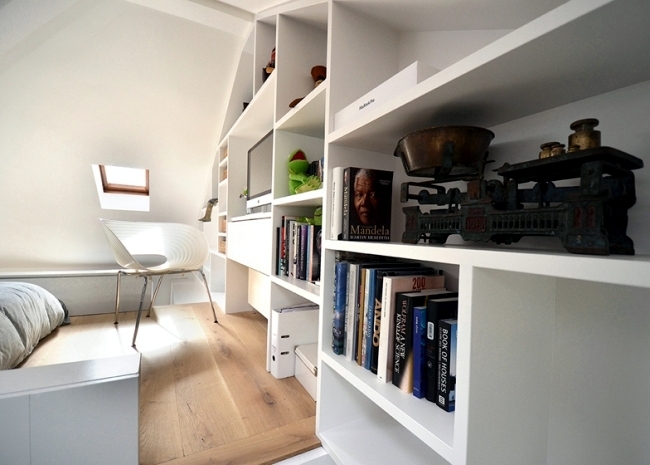 The small room requires practical and applicable solutions within. 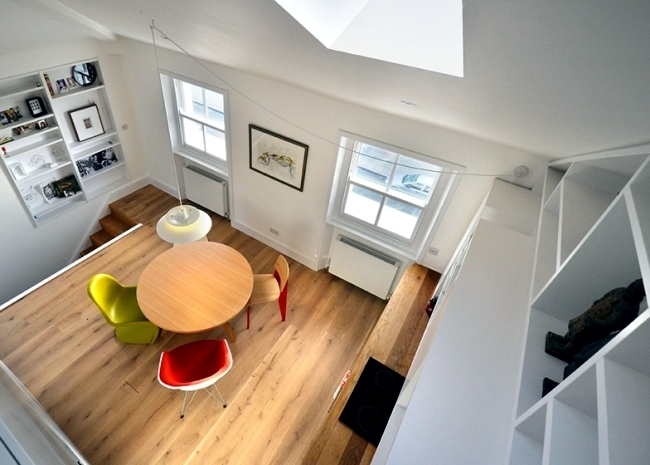 The first floor has a kitchen, dining room, living room and even the mini bathroom. 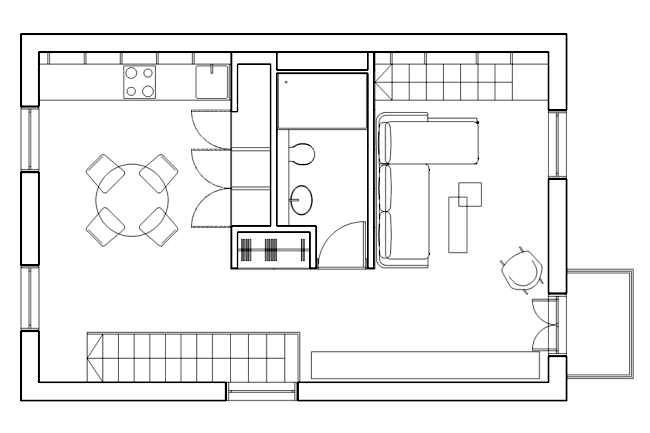 The room is on the second floor, which was designed as an indoor patio. 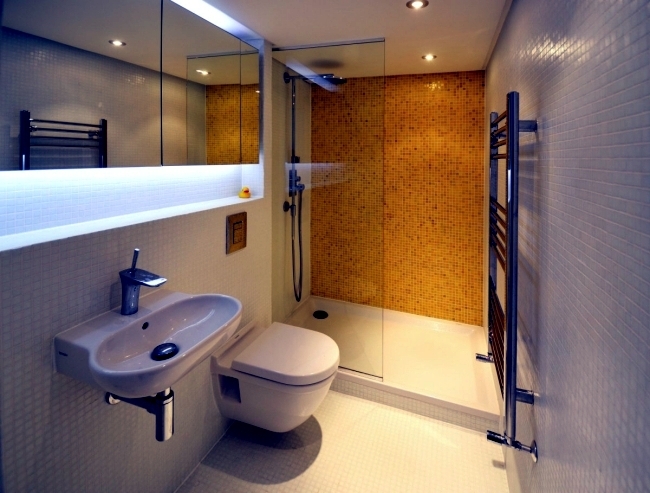 The bathroom separates the kitchen and dining room lounge. 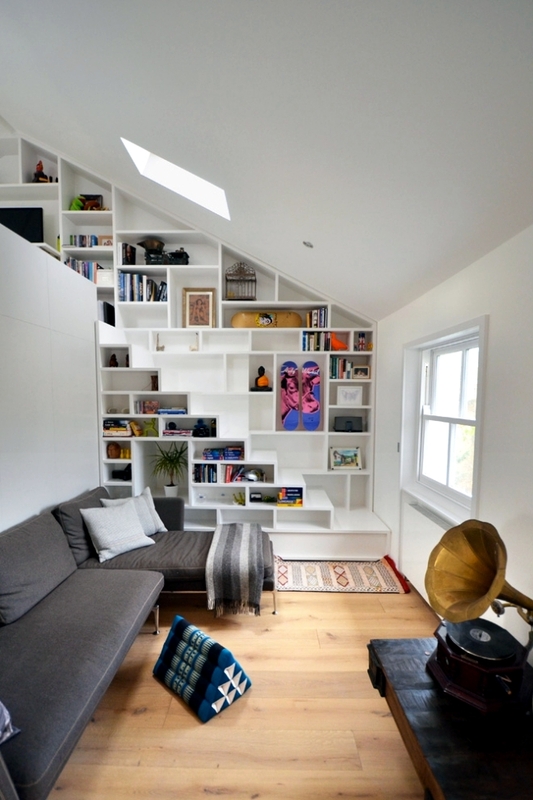 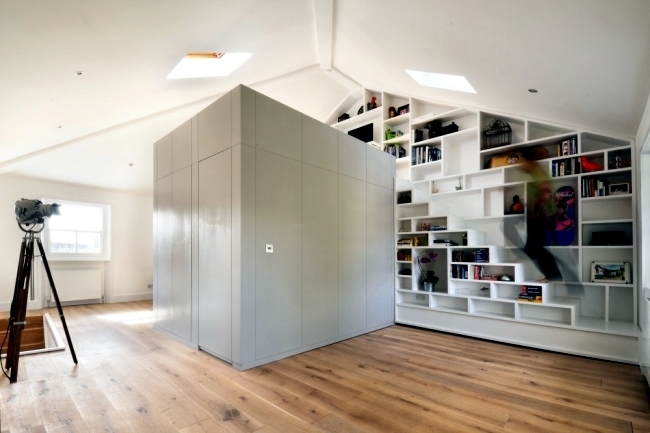 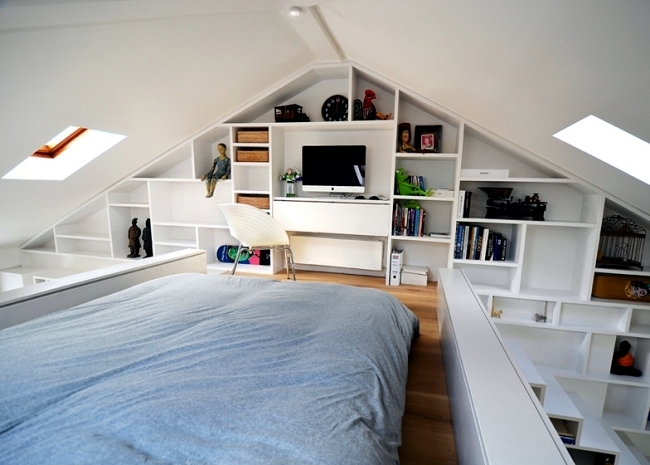 The built-in wall shelving stairs lead to the upstairs bedrooms. 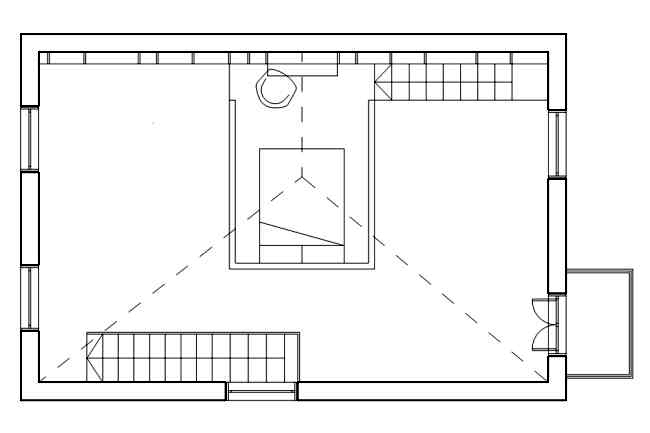 The small apartment Camden was very deliberately set up so much space as possible was recorded. 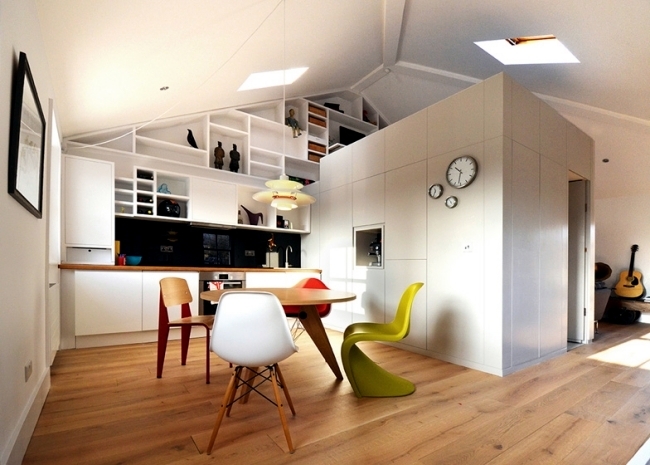 Limited space requires little furniture as possible and no unnecessary parts. 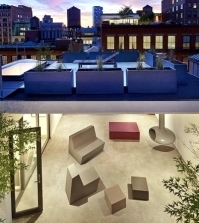 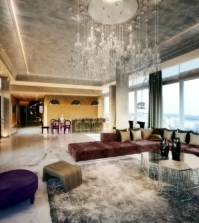 Therefore, the designers chose a minimalist style. 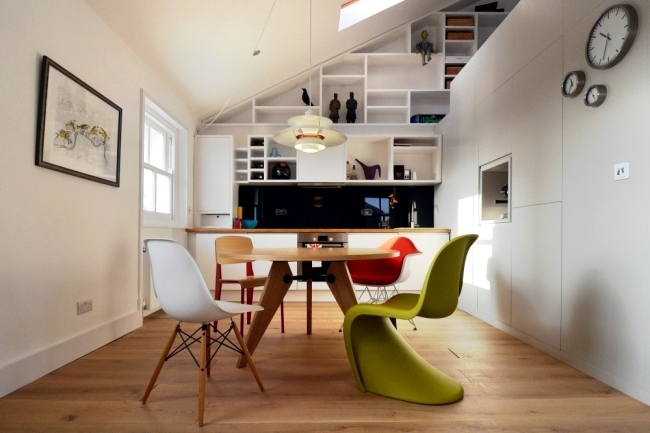 Wood is the material of choice in the small apartment, and most of the furniture has been colored white to visually enlarge the space. 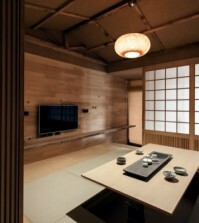 Modern minimalist interior design – Japanese style.